Lexicolatry: Cacography - How Bad Is Your Handwriting? Do you have bad handwriting? Well, at least now you can put a fancy name to having the writing of a cack-handed three-year-old: "Calligraphy? Oh no. That's far too mainstream for my tastes. I prefer the art of cacography; that's much edgier." If you do have cacography, take solace in not being alone. In fact, you're in some pretty esteemed company, for not only do doctors and their infamously illegible prescriptions fill the ranks of the cacographists, but some of the world's most famous writers too (and, if you are frequently upbraided for leaving your spouse missives that even the NSA wouldn't be able to decipher, at least your notes' illegibility didn't kill anyone, which is not something that can be said for badly written medical notes). To illustrate some famous examples of cacography, I give you three samples - two are by world famous writers, and one is by a (moderately) famous murderer whose story has been covered in Lexicolatry. Does a partner's illegible writing really nib your ink? 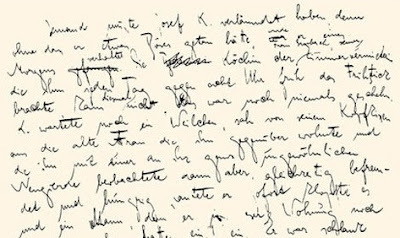 Can you identity the murderer's handwriting and, even better, name the three sampled cacographists? Do please leave your most illegible comments in the box below. What a cool word! Can't make out the middle one at all. It's far too cacographic (?) 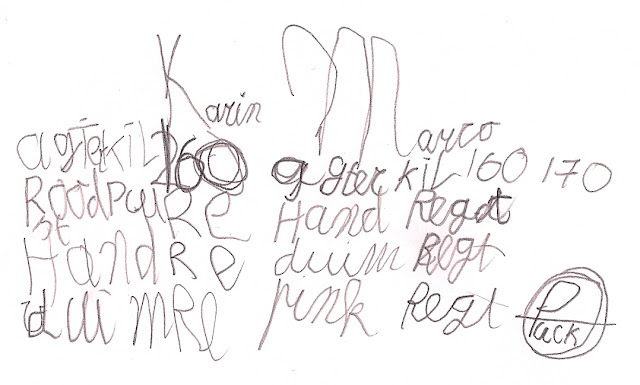 or written too cacographically (?!) or just cack. Bad handwriting is annoying. It's just lazy. And selfish. "I couldn't be bothered to form these letters properly so you'll just have struggle to make out what I've half heartedly tried to say." There's definitely an element of selfishness to willing cacographers when writing something intended for others to read - who wants to read a letter or note where it's hard work on the mind and eye? I used to work with a detective who would hand-write his case logs in the most illegible, ridiculous script, knowing full well his PA would type it out for him ... and struggle to do so every time. There's an element of self-importance in that, an "I'm too important to bother to make life just that little bit easier for those that work with me." Blah. 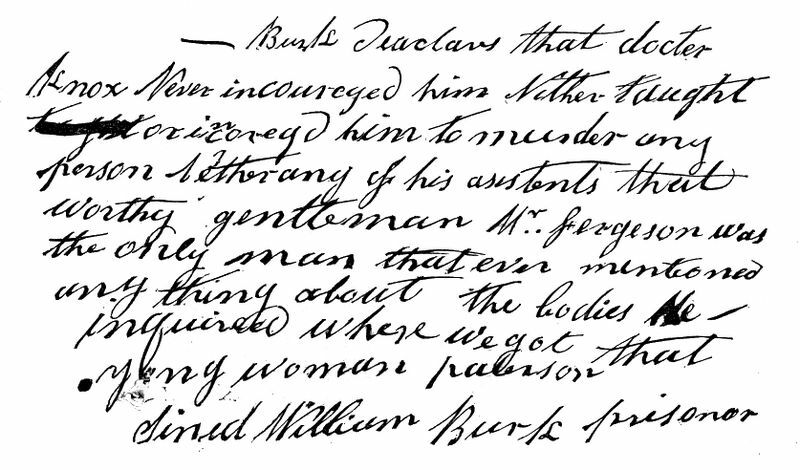 Well, William Burk was kind enough to sine his name, and that looks like a ms of 1984. But who the German writer is I've no idea. At least, the words I can make out look like German, but perhaps the writer wasn't. Kafka? There's no flies on Sally Prue! 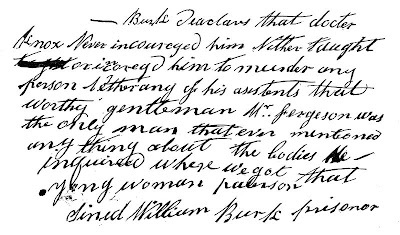 Exhibit A is indeed William Burke, whose misdeeds gave us the verb Burke, B is Kafka and C is Orwell. Wow! Well done you. Maybe they're not so cacographic after all. I've seen your handwriting, Bibi, and you are many things but a cacographist you ain't. I, too, have legible handwriting, but it is a disadvantage in note-taking as it means I write a tad too slowly. The real advantage comes in reading said notes back later, though, because we can. Ha-ha! The revenge of the legible writer.